Only simple products are listed. New install of ATUM. I am sorry you find difficult working the Stock Central. It seems something is wrongly setup or there is another 3rd party preventing other products from appearing. Please, upload the screenshot of WooCommerce status page and the PHP error log, thank you. SoapClient: ❌ A szerver nem rendelkezik megfelelő jogosultsággal: SoapClient - egyes bővítmények (amelyek SOAP-ot használnak) hibásan működhetnek. Az áruház nem használ HTTPS-t. További információ a HTTPS és az SSL tanúsítványokról . [09-Apr-2019 13:23:56] NOTICE: exiting, bye-bye! Did you check if the all your other products are in the "Uncontrolled" list? Try to click the "Show Uncontrolled" button at the top and let me know if there are located in that list, please. Thanks for the answer, PAVE here again. I have asked Salva to help, but there was a little misunderstanding between him and I. Please, accept my apology. I still think there is something in your site not related to ATUM bugging the Stock Central page. So what you need to do is to open a private ticket here, give us your admin credentials and written permission to grab a copy of your site and install locally in our servers to debug the problem. We are doing this for free to find the problem, if not related to ATUM and proved to be caused by 3rd party plugin, we will give you further options to solve it, ok? They are all set on "uncontrolled" at the moment, because this way at least I can use them for the purchase orders. 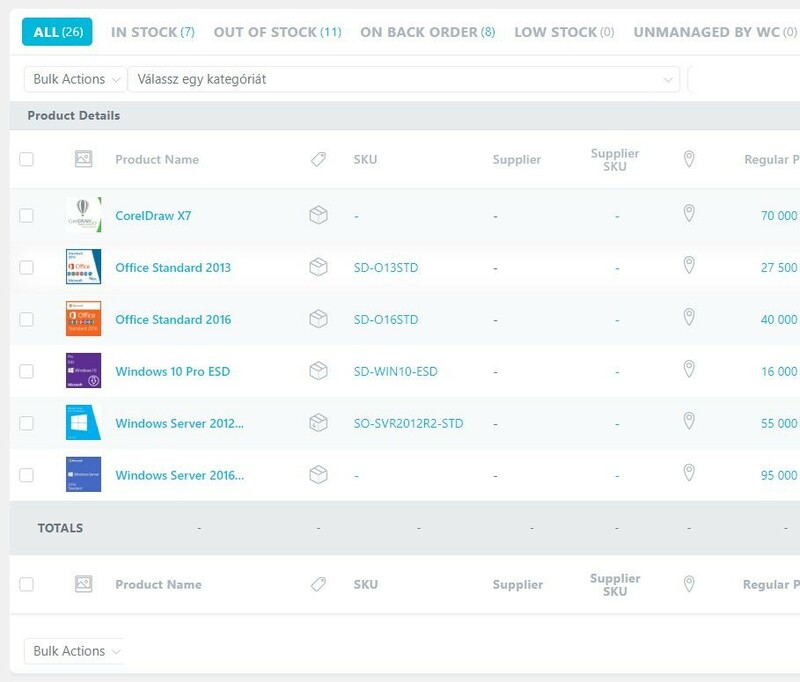 If I set them back to "controlled", they disappear from the list (never show up as controlled), and that makes them unavailable for the purchase orders as well. So please do not make me doing it again, it doesn't bring me any closer, I have already tried flipping them back and forth just for the sake of the experiment.